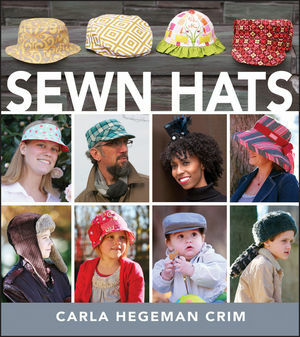 Welcome to Carla Crim‘s Fantastic Sewn Hats Blog Tour! When I was asked if I wanted to participate in Carla’s great adventure, I said sure….that’d be fun….then promptly included Linda, my wife, because she is the inventive one when it comes to clothing items. She had a great idea and we did a team project where she made four hats and I made one….She’s Uber-Productive…..have I mentioned that before? When the kids were little I owned and ran a vintage clothing/antique store. One of my many finds was a Chinese traditional silk cap. It was made out of black satin and had collapsible sides so when folded in it became this neat flat triangle. I loved how it did that. The shape was so compact. It had no wasted space or construction. I went on to reproduce it in miniature for a frog prince doll (geez, how was I to know that that year there were maybe 4 other frog prince dolls?!!!) that Scott and I created for the “Treasure of the Gypsy” challenge that we participated in 2009. Increasing the pattern was a breeze. The fabrics I used came from fabric packs that Scott contributed (you think you have a lot of fabric, HA!) The best part was playing with the brims. 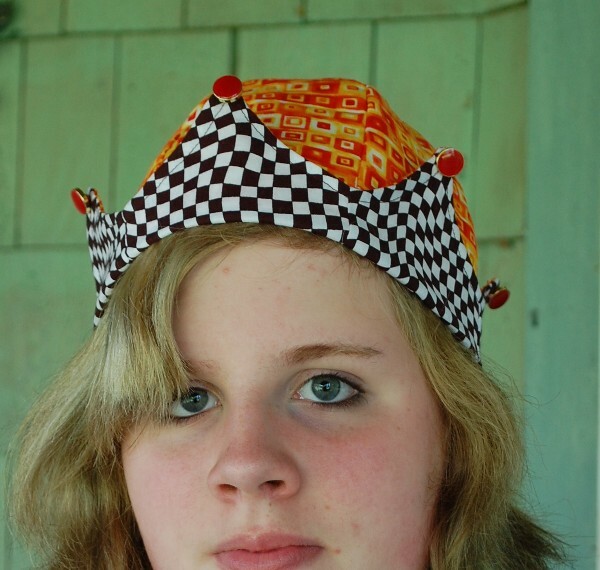 My favorite one is the Jughead (I am really dating myself here I am afraid) hat. To me, it looks like a mix between a fools hat and an old fashioned comic book hat. As you can see, I could not just make one hat but had to make 4. My daughter Mimi, snatched the flowered brim one the minute I unpacked the box when they recently came home. Ahh, that girl does love to dress up–even at 15. 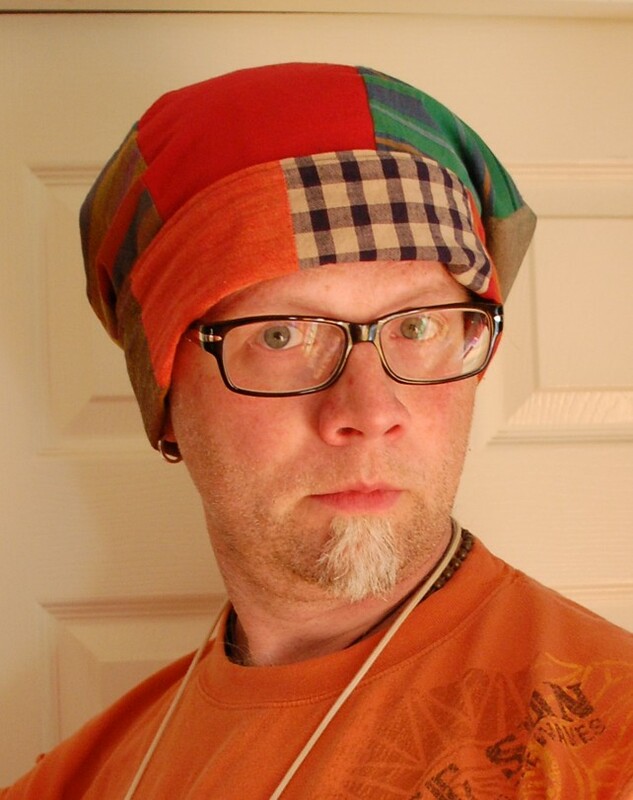 For my “guy” version of her hat, I elongated Linda’s original and made it more like a toque. I think it is pretty cool. I am not sure how many guys would wear it, but I will. We thought it would be fun for the snow and skate boarding type dudes. Mimi, me, and Linda being silly with our hats……that’s just how we roll around here. We had fun doing the project, and when we got the book we were just delighted with all of the great hats by a so many great designers. 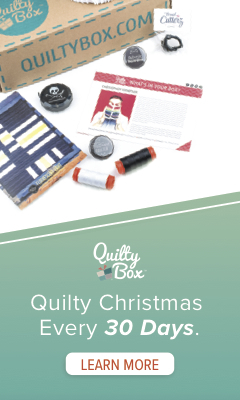 I know a lot of them personally from my many trips to Quilt Market so it was great fun to see what they came up with. So many you have already met a lot of them already on this tour if you have been following the Tour Line-up. If you have just found out about it here, do check out the past peeps to see what they have created! I personally love the projects by the next two peeps on the Tour, Betz and Melissa. Betz’s Coonskin Hat and Melissa’s Unicorn w/ Narwhal option Hat just make me smile to no end!! Linda was also tickled with this nicely composed picture of HER hats on the introduction pages. And the best thing of all, you can win your very own copy from Wiley! All you need to do is leave a comment here. 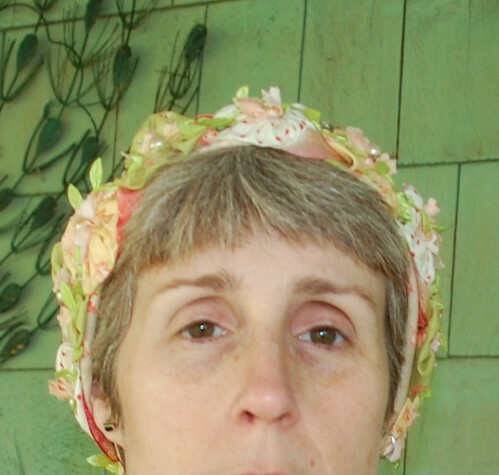 Tell Linda and I anything you want, your favorite type of hat, your favorite places to wear a hat, something about something you saw here on the Blue Nickel site or on Linda’s site, Miss Mabel Studio. We will pick a winner on Sunday October 7th. It’s our anniversary that day, you know…..an incredible 23 years!! Don’t forget to comment to win! Those hats look so cool! I would love to win this book. I’ve never made any hats before, so this looks really neat! Thanks for the giveaway! I love hats that are colorful and with wide brims. I would love to make some hats for my 6 great neices and nephews. Thanks for a chance to win such a wonderful book. I am a new grandmother and would love to try some of the hats for youngsters! I love hats with a tiny brim… if your feeling like a bad hair day, or had a late night, they are perfect for hiding! Thanks for the chance! This looks like such a fun book! I would love to make some hats for my little brothers and sisters! Thanks for the chance to win! My favourite type of hat is a deep brimmed sunhat, our sun here in NZ is especially harsh so it’s important to have a good hat. Such neat hats! I love hats and am always searching for the “right” one. Hadn’t thought to make my own. I certainly would put this book to good use. My daughter fell in love with the unicorn hat – it is on my “have to make” list now. Those are wonderful hats, great colour and style choices. Would be fun to make them for my family members. my favorite type of hat…. a “bucket hat”! My favorite place to wear a hat…. when riding my bike – but make that a helmet! Had a bike accident and only reason I am here typing was the helmet. So many great hats in the book. I’ve never made a hat but would love to give it a try. I wear baseball hats sometimes. My grandson is almost two years old and he loves hats. I’d love to make one for him. Thank you for a super giveaway and a chance to win a neat book. Early Congratulations and Happy Anniversary! I love the hats you’ve made. I would make myself one, I think it’s called a bucket hat, with a brim all the way around. My daughter and I both love hats so it would be great to have this book to make hats for both of us. One of my favorites is the french beret style hat. Personally, I like to wear cloches, but if I won, I would mostly use this book to make bucket hats and newsboy caps for my infant son who I put hats on almost everyday.